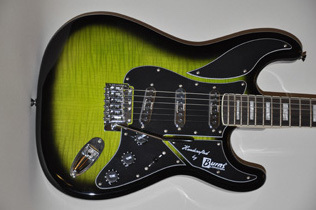 "I've just bought the king cobra (greenburst) - fell in love with the look from the late sixties. I've had custom shop Stratocasters, but to be honest I find the king cobra so nice to play and the sound is so good. I was always a Fender fan but Burns is now my favourite guitar. 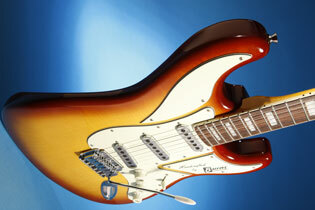 Thank u for producing a great guitar with a price tag that puts other manufacturers to shame. While many contemporary Burns fingerboards are buffed to a shine, this one exhibits the even dryness you would expect from quality Indian rosewood.